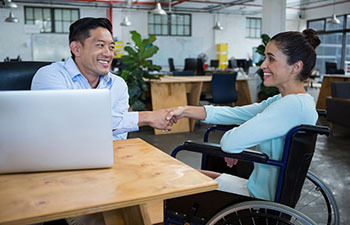 While there has been a great deal of research on business practices and employment for individuals with disabilities the field is at a point where action research is required in collaboration with business. There is a need to study cause and affect relationships between what the employer does and what the outcomes are for employees with disabilities. This underscores the significant need for field-oriented, evidence-based research on how employer practices can positively impact the employment of workers with disabilities. The four research studies in collaboration with employers are presented here.